FS Barrow joined the RAF in Nov 84 as a RAF Policeman. On completion of Basic and Trade Training he was posted to RAF Marham as a Dog Handler (QPD) employed on Special Weapons Storage Area security. He was then posted to RAF Gutersloh Harrier Force. On promotion he was posted to RAF Northolt on VIP duties. This was followed by a sunshine tour in Belize on GPD and QPD. He was then posted to RAF Aldergrove as a shift IC on the Dog Section. During this tour he specialised as a Drugs Detection and Arms and Explosives Search Dog Handler. This was followed by a posting to Rheindahlen where he worked with German, Dutch and Belgium Police Forces as well as UK Customs & Excise at the Channel Tunnel in Calais. He then returned to Aldergrove where he was promoted and carried out Shift Sgt duties before moving as SNCO IC Dog Section. He also qualified as a Public Order instructor for the Int & Sy Sqn. After 4 years he was posted to RAF Waddington as SNCO IC Dog Section an then HQ No 5 RAFP Sqn Dog Inspector (DI) Feb 12. On promotion he was posted to RAF Brize Norton as No 1 PW DI. He specialised as a Serious Crime Investigator and was posted to CJPU as Platoon Commander. His last posting was at RAF Henlow as FS Police. He has gained Operational experience at MPA, Bosnia, HERRICK 7, TELIC 13 and HERRICK 12. His work on HERRICK 7 and TELIC 13 saw him nominated for a SUN Millie Award in 2009. 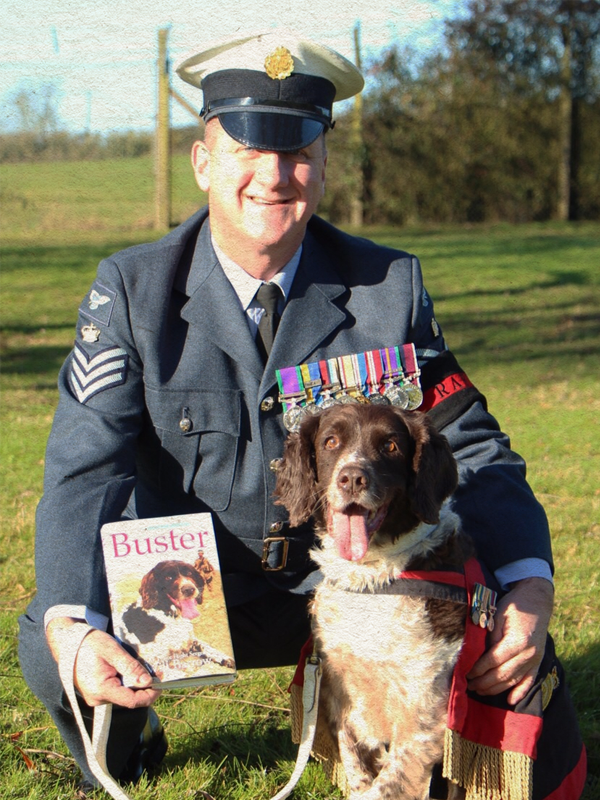 He has written a Sunday Times Best Selling book about his exploits with his search dog Buster. He is keen on rugby and has played at station level. Other interests include dog training and reading.